You can probably tell by now that french toast is one of my favorite things to have when I go out for brunch. 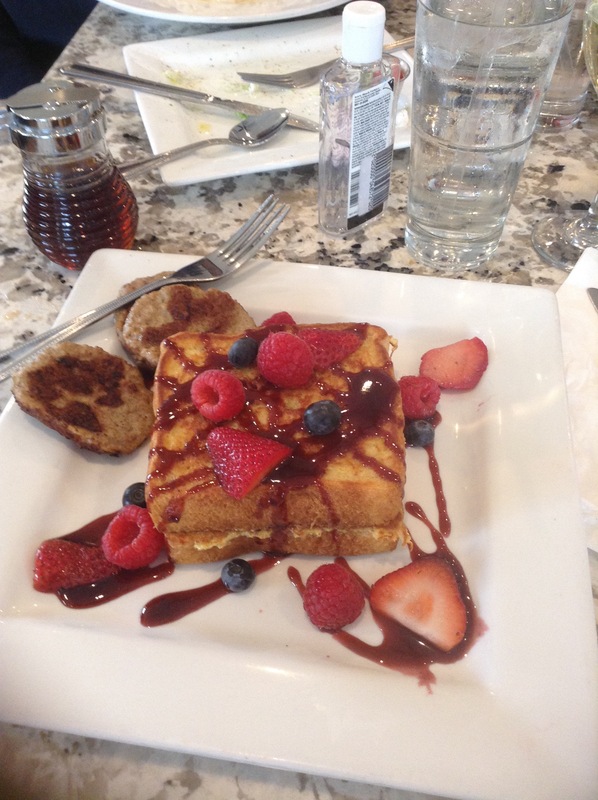 This pic is of the very berry creme-brulee french toast at the Mack Avenue Grille. It’s delicious! The perfect bite gives you savory french toast, a sweetness from the berries (strawberries, rasberries and blueberries) and the creme-brulee filling. But get this: I have NEVER had this dish for brunch. I’ve eaten it during the weekdays with my co-workers, but somehow this dish always me feel as if it’s Sunday and it’s time for brunch. Do you have a favorite food that you MUST have when you eat brunch? !